I am often asked how long I have been doing calligraphy and how I got interested in the first place. As a youngster, the only books in the house were a 10 volume Arthur Mee Childrens Encyclopaedia. The many articles and illustrations of ancient civilisations, carvings and manuscripts that I found there really fuelled my imagination and have been my inspiration to this day. 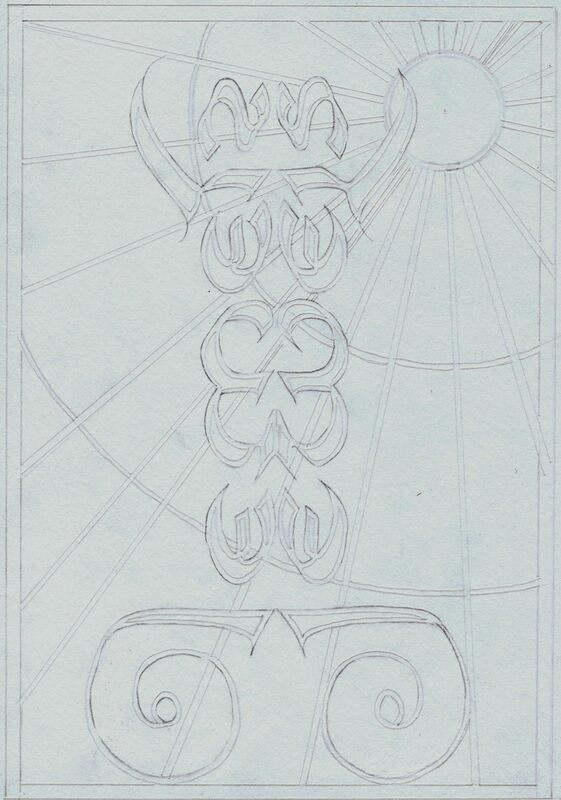 At about age eleven I was lucky enough to have an art teacher who had a great interest in calligraphy / lettering. He taught us a form of italic script and issued licences, to those of us who became proficient enough, to use it in the classroom. To my great shame, I never attained the standard required and so, was not allowed to use italics to write my essays and compositions. I did, however, at that early age, have my own fountain pen. I don’t remember how I came by it, but it was probably a Christmas or Birthday present. 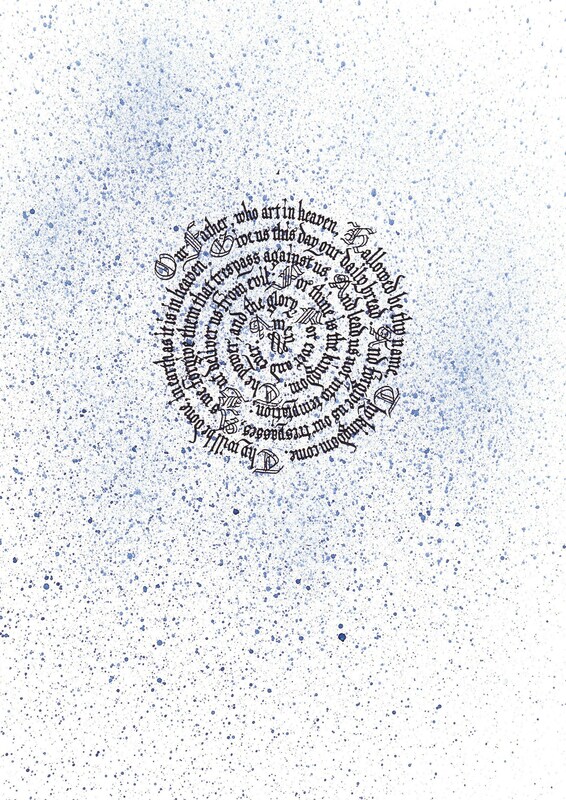 This pen was an Osmiroid 65 with a medium italic nib and I was soon in great demand in the neighbourhood to write cards and envelopes and suchlike, but my first real commission, for which I received one shilling, was The Lord’s Prayer written in a spiral. That pen was lost some time ago but lately I found another on eBay complete with ten nibs. Writing with it really brings back memories. One other thing I was taught at that time has been a great help all through my life. 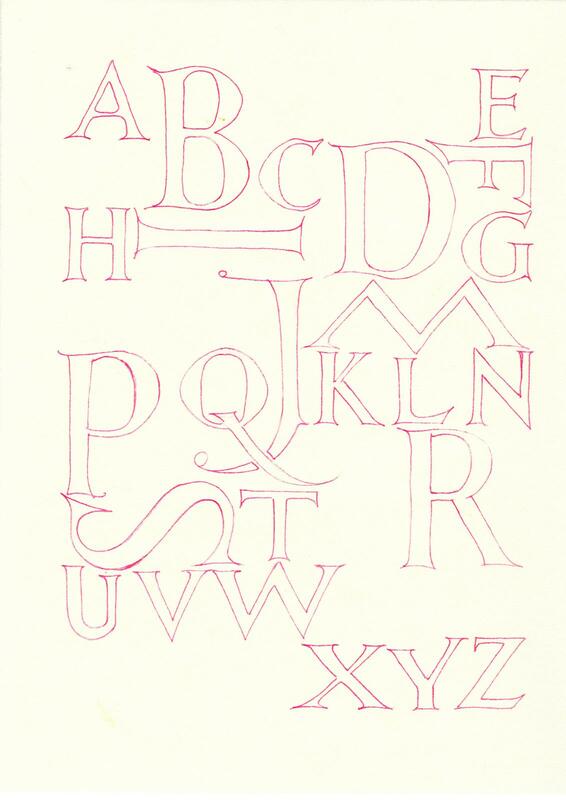 When drawing or colouring letters, don’t turn the paper to give better access to the brush, crayon or whatever. One day you might have to put your letters on a wall, so learn to always work in the one position. (Except when doing this)…………………………..
Not my first commission, but very similar. Here are a number of links and videos all with a view to teaching children to enjoy the making of good letters. Whether you are a parent, a teacher, a youngster, or an older beginner, there will be much here to stir the interest and get you or your class started . Don’t forget the links to “Lessons” on the right of this page and the many art / calligraphy based links to be found elsewhere at Bill’s Space. Doodling with double pencils or markers, and filling with colour is a very good introduction to learning how the thick and thin strokes are formed. 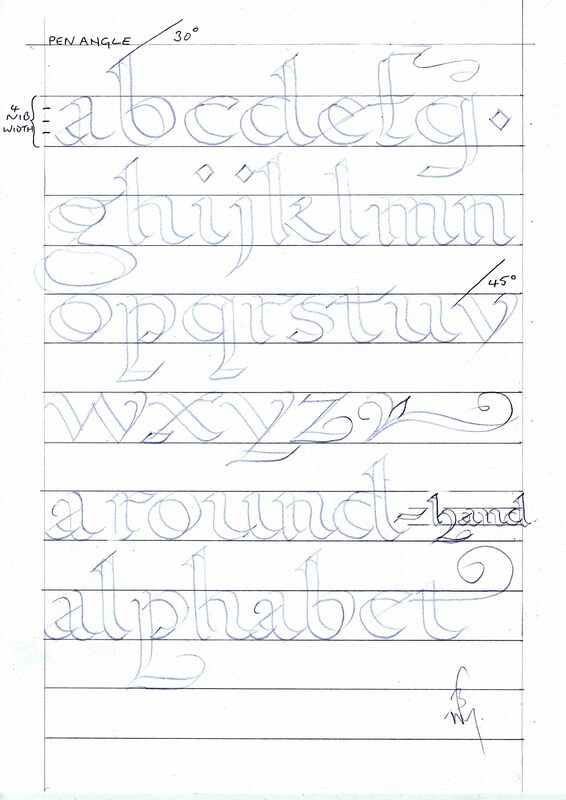 This one is from the Monica Dengo calligraphy teaching site. In Italian but the enthusiasm shines through just the same. An educational philosophy encompassing all creative subjects backs up the teaching of handwriting in France. The French believe that giving children the ability to write will free their minds to perform creatively throughout their lives. So they teach handwriting as a subject in its own right.And they teach handwriting in a uniform way throughout primary schools, using traditional calligraphy to produce a distinctive, ornate hand.This programme visits a school in Lyon to see how students in Year 1 and Year 6 develop this ability. Alphabet Handwriting worksheets plus colouring pages etc. As I come across new material on this subject, I shall add it on, so keep watching this space. Graduation of the first Children’s Group at the Russian Contemporary Museum Of Calligraphy. Meanwhile, colouring ready made letters is a good way of getting a feel for letterform, so here are a few to play with. Print them off and have fun. Please let me know if there is anything you are unsure of. If I don’t know the answer, I’m sure to know someone who does. This entry was posted in Beginners, CALLIGRAFFITI, calligraphy, Children, how to, LETTERING and tagged Beginners, calligraphy, children, Handwriting, inspiration, resources, video, Worksheets. Bookmark the permalink. Does this make calligraphy any easier. Heheh!